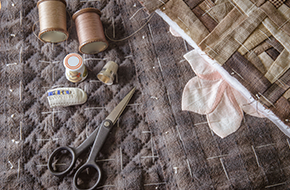 Choose The Old Creamery Fabrics & Quilting for the best cottons and supplies for your next project! At The Old Creamery Fabrics & Quilting, we have amazing customer service and fantastic fabrics! When you are looking for the next piece of fabulous fabric for your stash or for the final quarter square you need to complete your quilting project, look no further than The Old Creamery Fabrics & Quilting! 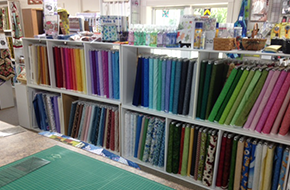 Any quilter knows that a great fabric store is one that has all of the quilting materials needed under one roof. This is what we provide at our store. Whether it is fabrics or quilting supplies that you are looking for, you will find it among our fantastic collection. We are a quilt shop that offers everything you need. 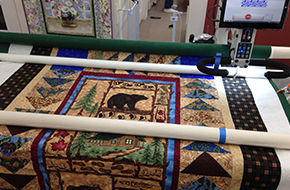 We have a long arm quilter, fabric, quilting materials, and more! If you need it for your fabric project, chances are great that we have it in our store. We believe that customer service is a lost art. If you are stuck on a project, bring it with you—our staff is happy to help you find just the right fabric to make your project complete! When you need quilting materials and supplies, we welcome you to The Old Creamery Fabrics & Quilting of Syracuse, NY. We have more than 3,000 bolts of fabric for you to choose from, including many hard-to-find prints. If you have been bitten by the fabric bug, come shop with The Old Creamery Fabrics & Quilting today!